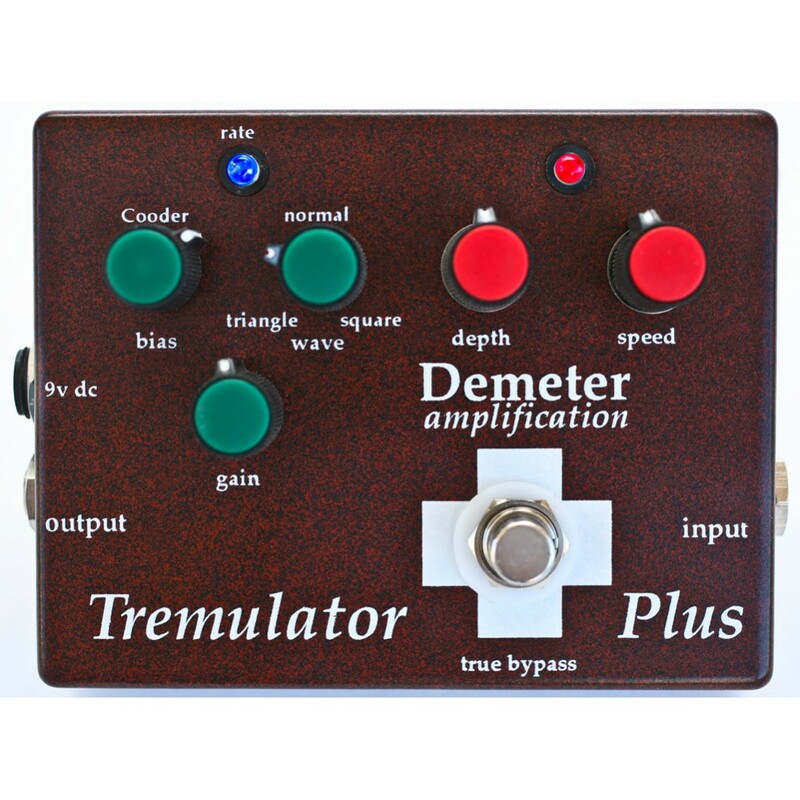 After more than a third of a century in production, James Demeter decided to revisit his first pedal and add every feature that he could think of as well utilizing customer suggestions he received along the way and still keep the original all analog Optical design. The range of controls are amazing. 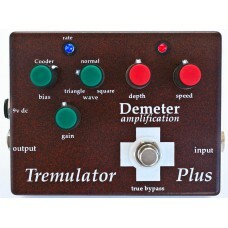 Just imagine the tremolo tones you can get with this unit. In addition to the stock Speed and Depth controls, the unit adds a bias control on top, replacing the trim pot on the original units. You can also easily adjust the on and off ratio of the optical unit; with the knob straight up you get the famous Cooder setting. The Clock Waveform that controls the optical unit can be adjusted to be a pure triangle wave (smooth up and down volume effect) or to the normal position, a flattened Triangle wave, (Smooth up, and down volume with strong on and off), or set to the very sharp cut off of a square wave (sharp on and off). The unit also features a gain setting so the effect can be as loud or soft as needed. We also have a rate LED that blinks to show the speed of the tremolo effect and lastly a true bypass switch that pulls the Tremulator out of the circuit.